After years of running a hostel in Eilat, the author and her husband felt the need for renewal. 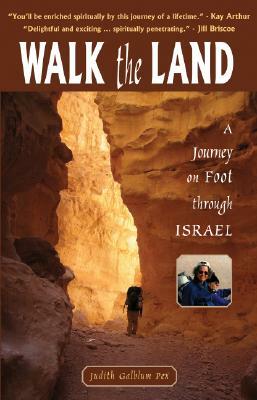 In their fifties they decided to walk the 600-mile Israel National Trail. Judith describes their 42-day trek through spectacular scenery, Arab towns and villages, past Jewish, Muslim, Druze, and Christian holy sites. They discover sights seldom seen by tourists, physical challenges and spiritual tests, cultural encounters and historical insights, and lessons about peace, faith, and endurance. For readers interested in the geography and people of Israel and the Middle East, hiking trails of the world, and middle-aged people taking risks and adventures.